Young Hee Park Holds a Master’s Degree and Performer’s Certificate in Piano Performance from Northern Illinois University. Mrs. Park’s teachers include Dr. William Goldenberg, Dr. JeongSoo Kim, Eun Joo Kwak and Alexander Djordjevic. 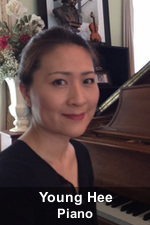 Mrs. Park has performed as a solo pianist and an accompanist for recitals and competitions throughout Chicago area including Northern Illinois University, College of DuPage, Winsor Park Manor, Oak Crest Retirement Center, Delnor Glen Assisted Living, Victory Center in Bartlett and Heritage Woods of DeKalb. Mrs. Park was selected as one of the pianists at the NIU memorial service for the shooting tragedy. She played with Kishwaukee Orchestra in 2008 and she was one of the members of Oakton Six Piano Ensemble. She has been a pianist at Heritage Presbyterian Church in Carol Stream, IL from 2002 to 2012. Mrs. Park was a faculty member at American Music Institute. Currently, she is a faculty member at Midwest Conservatory of Music. 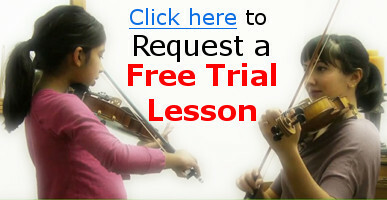 Also, she is a member of Music Teachers National Association and Illinois State Music Teachers Association. She is an active accompanist at competitions such as Geneva, Walgreen, DePaul, Confucius, and Sejong to name a few.